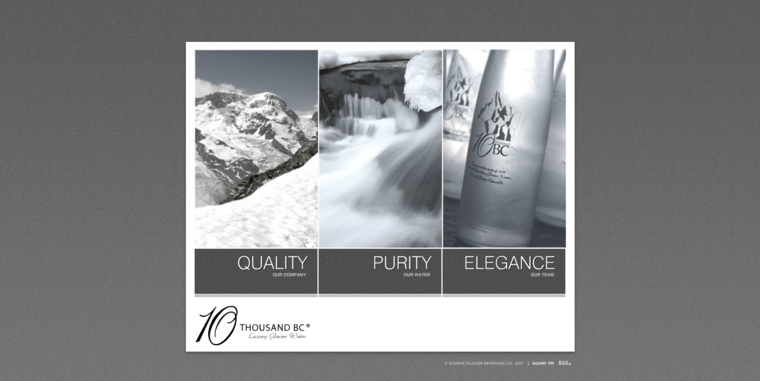 10 Thousand BC is so dedicated to distributing premium bottled water that they designed specialized equipment specifically to collect water from a single spring that is located on the floor of the ocean. No other brand collects their water from such a hard-to-reach source, and the quality of the water is worth all the effort. The source was created by a glacier several thousand years ago, hence the name of the brand, and that glacial ice was eventually covered by sediment and eventually the ocean. It has since melted and was waiting for generations for humans to tap the source. Using only the most sophisticated collection methods and tools, 10 Thousand BC acquires water from the glacial aquifer and transports it to a bottling facility using barges made with glass interiors so that no contamination of any sort is possible. The water has a dissolved solids ratio so small that it literally can not be purified any further.